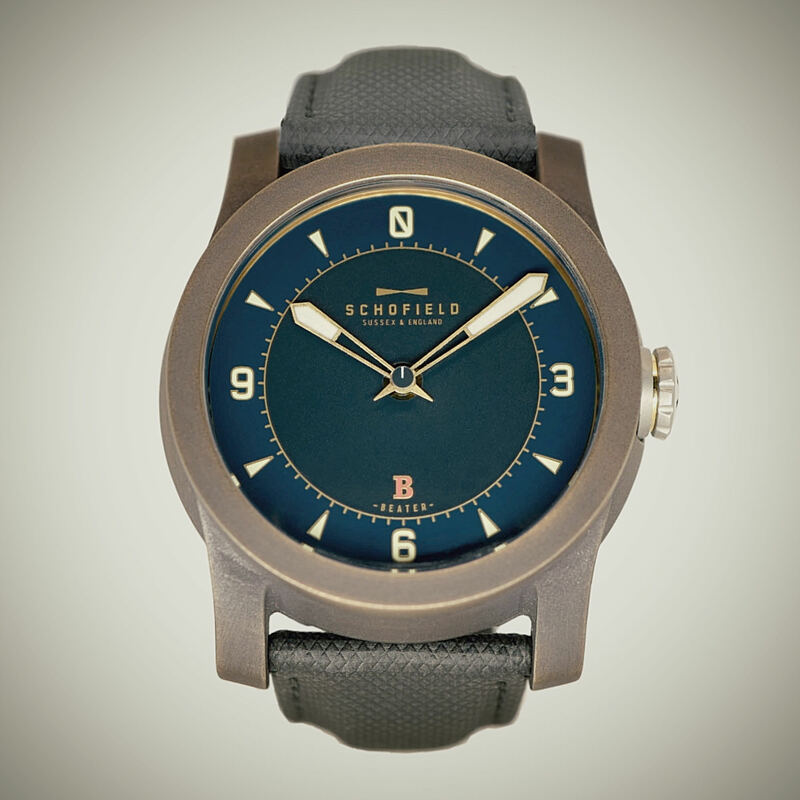 The Beater is an everyday bronze watch stripped of complications. 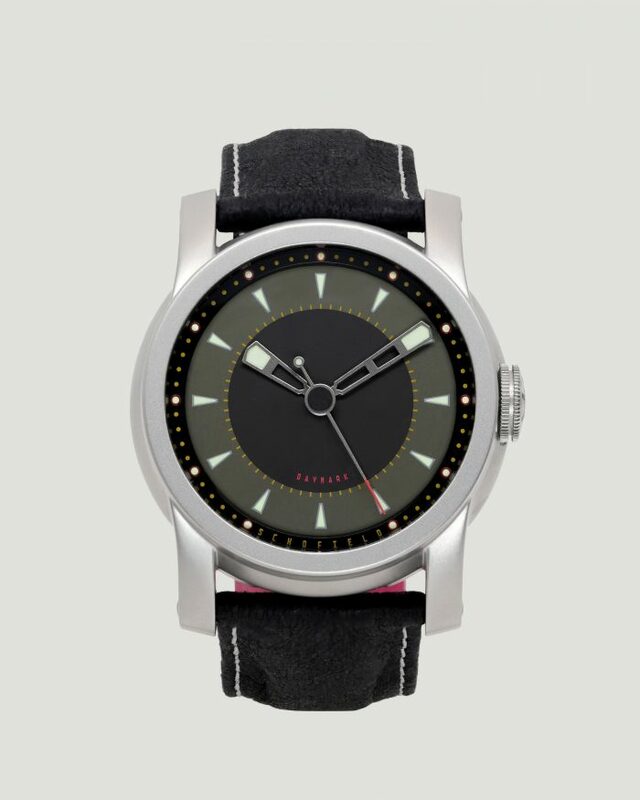 It is designed to be worn without the anxiety of wear because the case is made to age gracefully over time. This is Batch 3 of the Bronze Beater or BBB3. 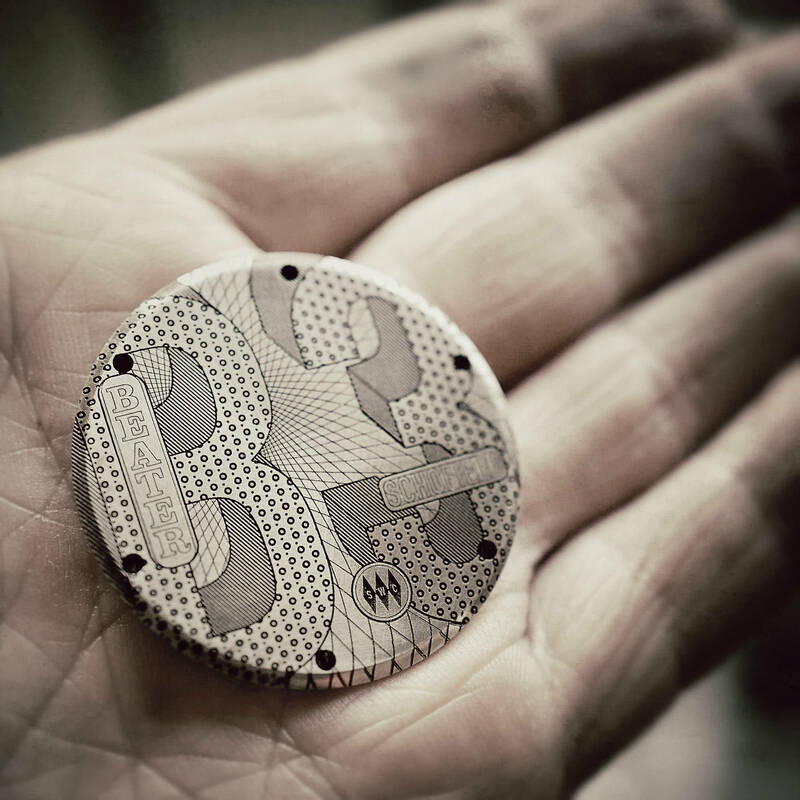 The case back of the new B3 took 120 hours of work to complete and the 3 hours of laser engraving per piece really shows in the quality of the finished article. These tiny canvases are hidden to the outside world, known only to a select group of owners and collectors. The new crown, with its exquisite gold nail groove draws your attention to the tiny shining rim on the blue dial. 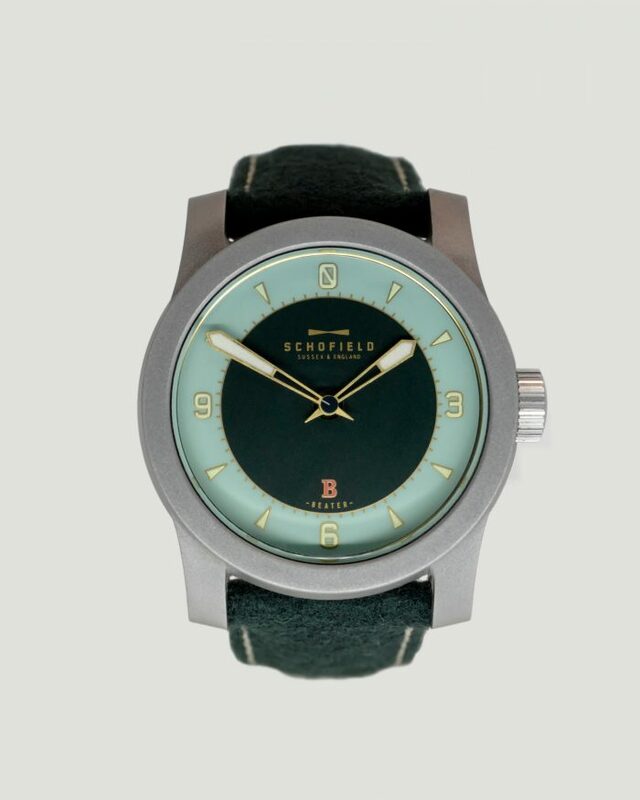 This level of attention to detail is synonymous with the Schofield brand. One case, two finishes and you can choose. 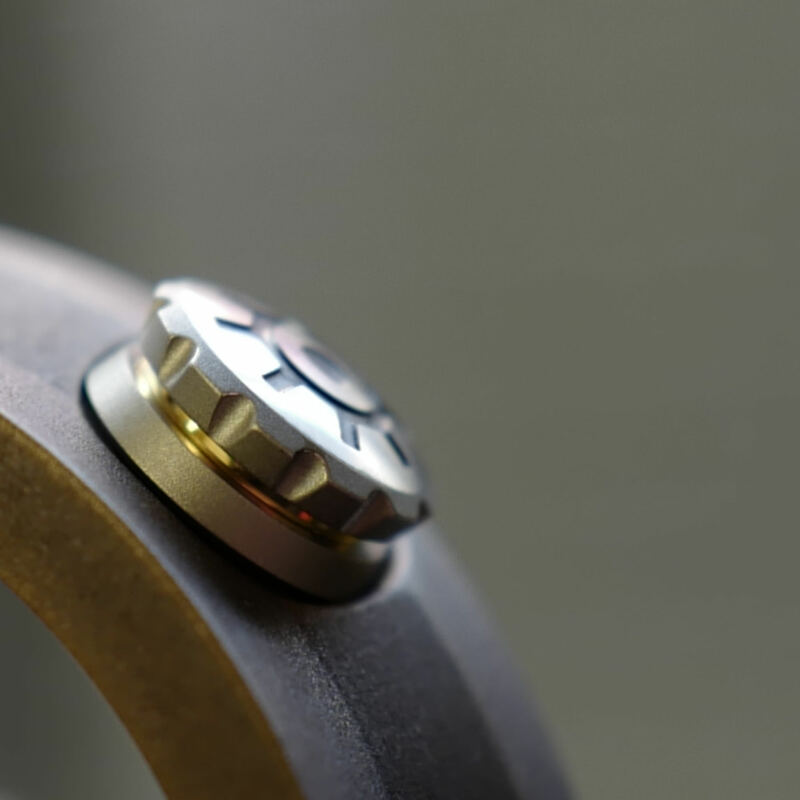 The raw bronze watch case has been blasted with a coarse medium that creates a wonderful, slightly sparkly, finish. This will not last long as these cases are designed for those that want the grease of everyday life to change the character of the metal over time. The patinated variety of the bronze watch case is just the same as the raw but has undergone further treatment. 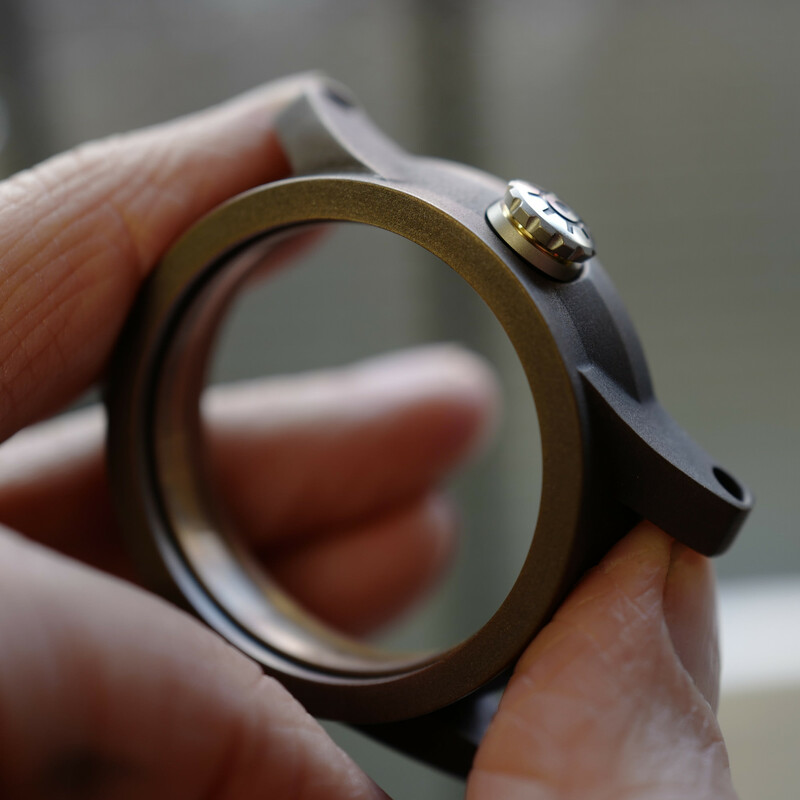 To obtain the stabilised oxide coating we dip the raw bronze into baths of dyes and acids which, after washing the cases are burnished to reveal the raw metal in select places – bezel, sides and the edges of the lugs. The patinated finish is permanent with your own scratches and chemistry adding to the character over time. 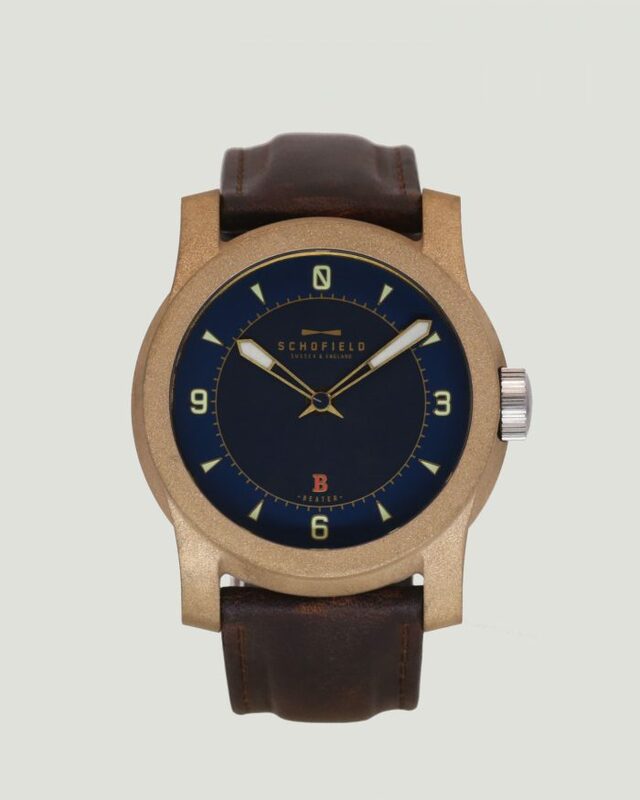 The bronze Beater is a bronze watch which is evocative of all that is marine and seaworthy. 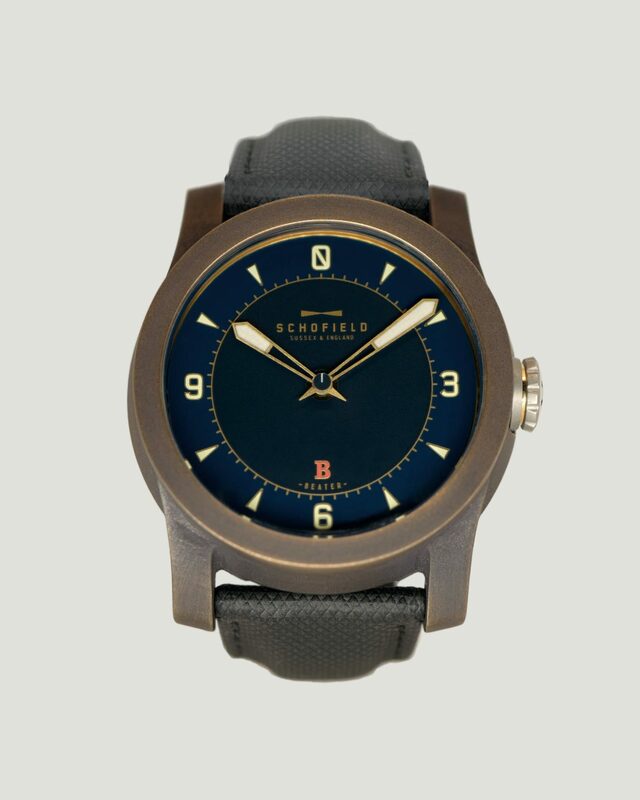 This is clearly seen in its colours, the inky blue of the ocean’s depths, the bronze synonymous with marine engineering and the elements of light like a night sky, complement one another and form a coherent whole. Patination, whether earned or forced, is a mark of time passed. 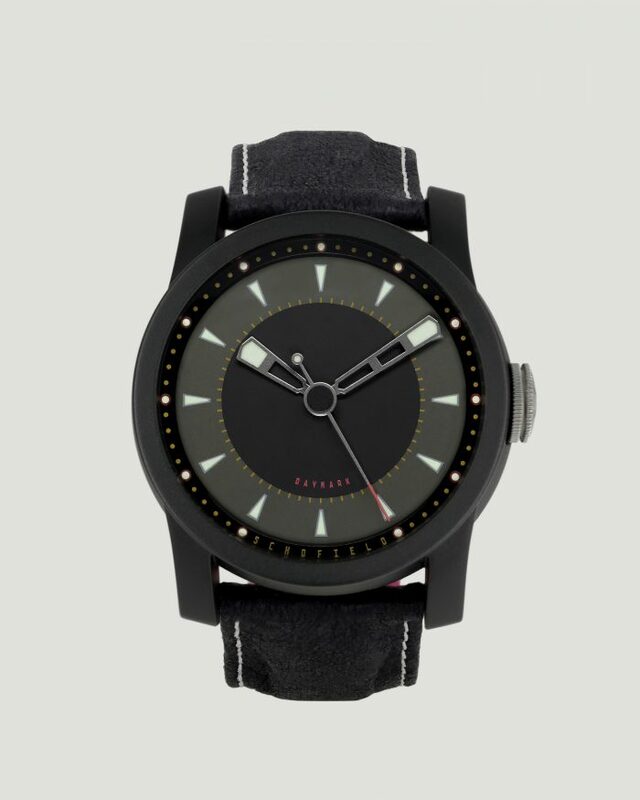 It is a watch that reflects and represents time with both its tick and colour. It is surely an example of modern treasure. Powered by a Swiss automatic, ETA 2824-2, the watch is essentially a two and a half hander featuring our Sign-Of-Life seconds hand. 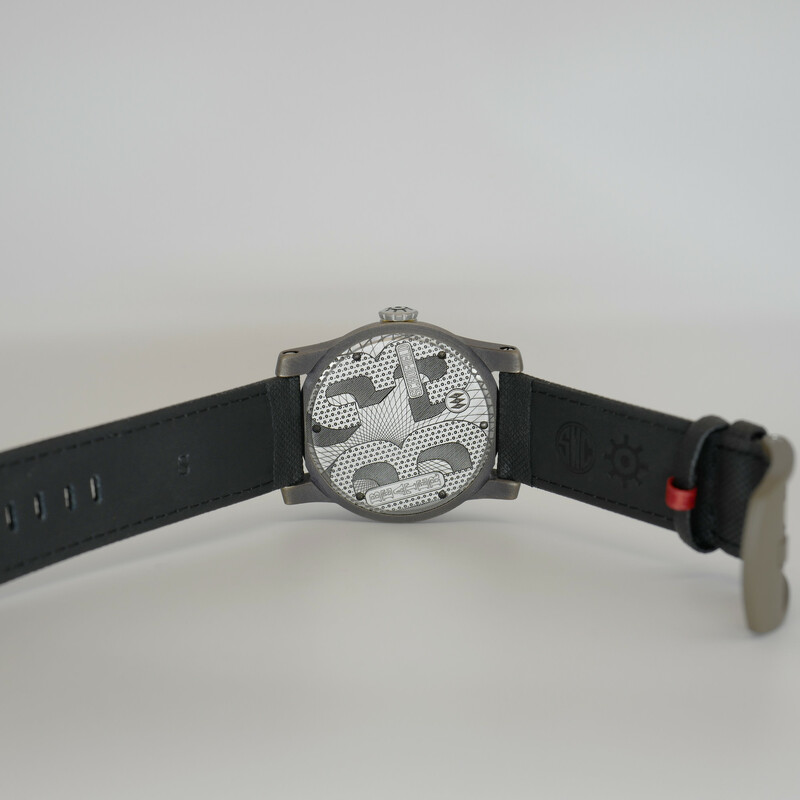 The case is 44mm in diameter with a deep laser engraving on the back. The price shown is with UK VAT, if you are outside of Europe then VAT will be deducted at the checkout. Generally in the west we consider patination to be akin to dirt, therefore we polish our doorknobs, taps, plaques and ornaments. In the east, especially Japan, patination is looked upon with reverence. It is history, charm, age, grace and humanity. We chemically treat this bronze watch’s case in baths of acid and dye, with Giles’s special concoction to stabilise the finish with a coloured and burnished coating. As an alternative we offer the case in an untreated raw state. 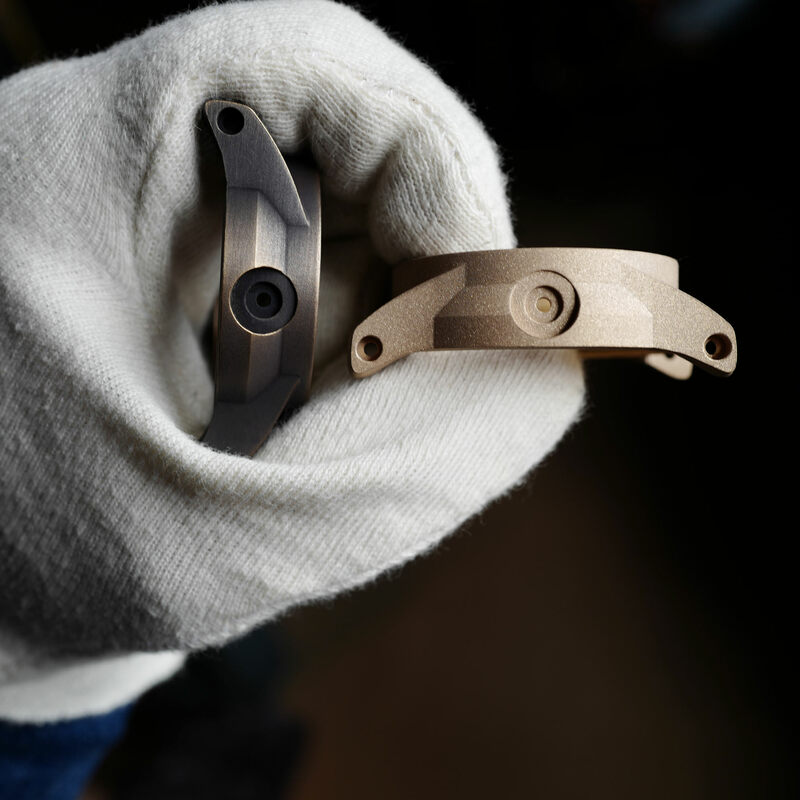 Specifically the bronze watch case has been finished with a coarse medium to increase the surface area encouraging the oxidative process. The grease of everyday life changes the character of the case over time. These cases are kept in airtight bags for as long as possible to slow down the oxidative process between manufacture and delivery, however expect a unique blotching and discolouration to occur. A note on the Beater characteristics and care: The bronze case will mark and scratch over time, especially around the bezel. This is normal and expected. Please visit our servicing page for more information.